Kais has a strong history of establishing and expanding successful information management businesses, both domestically and internationally. Prior to founding Delegata, he was the Managing Director of Indus (formerly The Indus Group) and the head of International Operations and Strategic Relations. He was recruited by the Chairman of the Board to set strategic direction for the company and establish and expand international operations. His success in opening new global markets helped make Indus the world’s largest provider of software solutions for enterprise asset management and positioned the company for a successful IPO. Prior to his career at Indus, Kais founded SKAKS Technology, a privately held corporation providing leading-edge imaging systems and integration services to clients in government and industry. 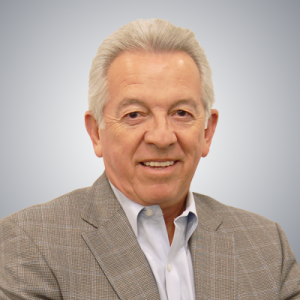 Under his direction, SKAKS acquired TERA Corporation, a provider of imaging technology, document management systems, power alternatives, and facilities management. The acquisition allowed SKAKS to leverage new technologies and grow new markets in the United States, as well as Europe, the Middle East, and Asia. His earlier accomplishments also include the role of Deputy Managing Director of International at CSC, where he managed over $400M in operations and brought over $120M of new business in one year. Kais’ unique blend of experience expanding markets for a diversity of technologies, his familiarity with global markets, and his extensive management experience are strong indicators for Delegata’s continued success. Barbara Halsey’s workforce development experience spans roles at the local, state, and association levels. Initially employed in the private rehabilitation field, Barbara developed supported work programs for developmentally disabled adults. 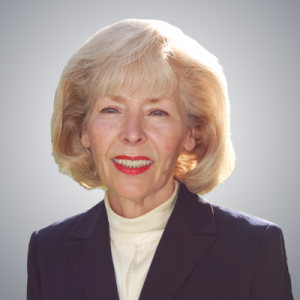 Her career path led her to the employment and training field where she advanced into leadership positions with the San Bernardino County Department of Workforce Development (1994-2007), the State of California Workforce Investment Board (2007-2011), and the California Workforce Association (2011-2013). In her executive roles with these organizations, Barbara has been a champion for the demand-driven workforce system. She has maximized the connection between business and the public sector by launching industry based initiatives, promoting sector strategies, leading coordinated efforts on Green Collar and Health Workforce Development, and initiating regional planning partnerships across California. 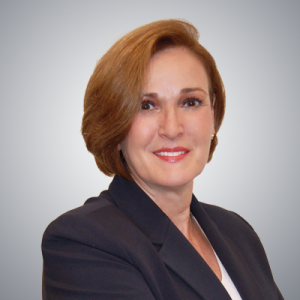 As a Delivery Director, Jacquelyn Silver brings over 30 years of executive level experience managing people, projects, processes, and technology to Delegata’s senior management team. Her keen instinct for practical approaches has helped achieve revenue growth and operational quality for start-ups and mergers alike. At Delegata, Jacque has served over 10 years as the senior manager of the program office for a $600+ million modernization initiative which included: design-development-implementation; transition from the system integrator to the client; and post-final system acceptance optimization. Prior to joining Delegata, Jacque was the Chief Information Officer for EdFund in Sacramento. She created a strategic technology plan in line with business revenue goals and built the technical infrastructure to double loan volume (reaching $10B in sales in four years, with an asset portfolio base of over $50B.) Her achievements also include launching two competitive differentiation products in less than one year, accelerating annual business growth by 26% through a strategic technology plan, and leading EdFund to be acknowledged by IBM as a model company for web-based products in 2006. As the CIO for iMotors, Inc, Jacque was recruited to design and build a technology enterprise infrastructure from scratch. She succeeded to advance the business roll-out from its Bay Area launch to national presence in fifteen months and she developed and executed a strategic technology plan to grow the business from zero revenue to $100M in eighteen months. She led iMotors to receive the American Automobile Marketing Year 2000 award for Best Automotive Website. Jacque held executive level positions at DCG Global Networks, Merrill Lynch, Macromedia, Adecco, Bank of America, Wells Fargo, Levi Strauss & Co, and Electronic Data Systems. Her previous roles have included Vice President of World Wide Information Systems, Vice President of U.S.A. Information Systems and U.S.A. Back-office Operations, Chief Information Officer, and Chief Technology Officer. As Delegata’s Communications Director, Amira is responsible for Delegata’s communications and brand representation in the marketplace. She develops strategies and programs for communications, branding, events, promotions, and media/public relations. Her expertise extends the Delegata brand to all areas of the company including community relations, proposal development, human resources, recruiting, and client project activities. 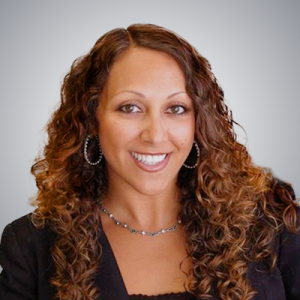 Amira provides marketing knowledge to Delegata with over 16 years of experience in the high tech industry. 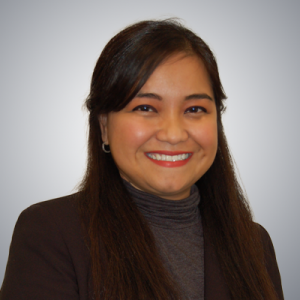 Prior to joining Delegata, Amira held various sales and marketing roles in Silicon Valley. At Lucent Technologies, she worked for the San Francisco Bay Area Sales team and managed the Y2K client services project. This included organization change communications to move the sales force to an online CRM system as well as marketing programs to communicate with the current client base. As a marketing and inside sales representative at BroadVision, Amira covered the government and healthcare markets. Working directly under the VP Marketing at BetaSphere, Amira developed and implemented strategies for tradeshow promotions and inside sales communications. As a member of the Sales Operations team at Siebel Systems, Amira managed targeted marketing campaigns and client communications. An active member in the American Marketing Association since 2003, Amira recently completed a 2 year term managing the Board of Directors as the President of the Sacramento Valley Chapter. She also volunteers her time and marketing skills with other community organizations to manage banquets, programs, and fundraisers. Amira graduated from Santa Clara University’s Leavey School of Business with a Bachelors Degree in Management and Organizational Analysis. 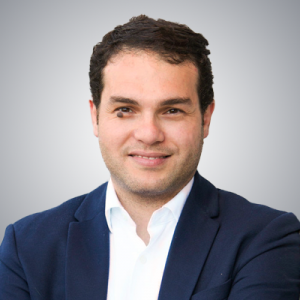 Moataz Hussein joined Delegata in 2016, and is now the Consulting Practice Manager. Moataz is heavily engaged in Delegata’s organizational transformation and project portfolio management consulting practices for the public sector. His experience in these fields span over ten years, and also includes optimization methods and governance, and strategy development and execution. Moataz has engaged in mega projects and programs with major clients in the state of California, as well as international clients, such as the 2022 FIFA World Cup (a portfolio of more than 500 projects valued over 100 billion USD), Saudi Aramco (the world’s most valuable company), and Shell. 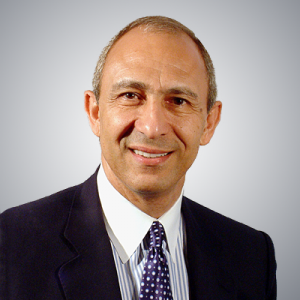 Moataz has a bachelor’s degree in engineering, and he received his master’s degree from the School of Business at George Washington University. Moataz also holds six professional credentials from organizations such as Project Management Institute (PMI), International Project Management Association (IPMA), and others. Belen Calanza joined the Delegata team in 2005. She specializes in knowledge management, and provides support and training for Delegata’s internal systems. Her expertise in Delegata’s backend support has proven critical for ensuring that teams have access to the ever-expanding knowledge base that sets Delegata apart. Her oversight on the entire Diamond® Enterprise Systems allows every team member to leverage available tools for continuous improvement. As PMO Support Manager, Belen works closely with delivery teams so projects are successfully delivered on time, on budget, and within scope. From resource and risk management, to project integration and quality assurance, Belen’s priority is to optimize every client investment. She graduated from Loyola University of Chicago with a Bachelor of Business Administration degree in Management Information Systems. As Delegata’s Director of Government and Community Relations, Bob is responsible for coordinating and facilitating communications with state and local governmental agencies on behalf of Delegata. In addition, Bob is responsible for expanding Delegata’s support of our local community. Bob has over 30 years of experience with the State of California, including four Department Directorships, four Deputy Directorships, as well as a number of key executive and managerial positions. In addition, Bob was a member of the Unemployment Insurance Appeals Board and was a Commissioner of the California State Lottery. Bob was the Chief of Strategic Planning and Organizational Development for the Department of Motor Vehicles and directed the DMV’s strategic planning process, measuring organizational performance and implementing an enterprise-wide approach to achieving DMV’s principle goals and objectives. At the DMV, Bob also served as Director of the REAL ID Project Office, and served as the primary liaison with the US Department of Homeland Security for that program. Bob has extensive community outreach-based experience, and currently provides guidance and support to Delegata-sponsored Closing the Gap, which creates educational opportunities for at-risk youth, and Building Bridges, which promotes multicultural collaboration for greater understanding and tolerance among people of diverse backgrounds, ethnicities, and faiths. Bob has been a member of a number of community organizations, including eighteen years on the Sacramento Senior Gleaners Advisory Board; ten years on the Sacramento District Attorney’s Citizen’s Cabinet; and a member of the Institute for Advancing Unity (formerly the Capital Unity Council). Bob was a television and radio personality in the mid-70s as a Weatherman and Public Affairs Host for: KCRA TV and Radio in Sacramento, KTVU, Channel 2 (San Francisco-Oakland).